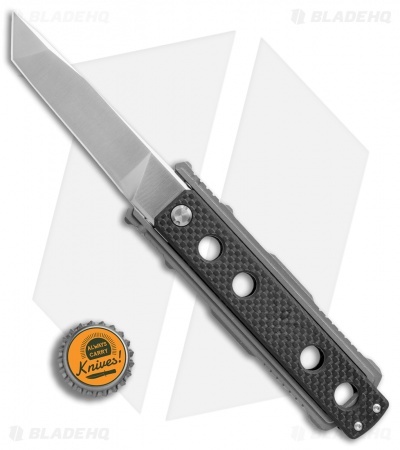 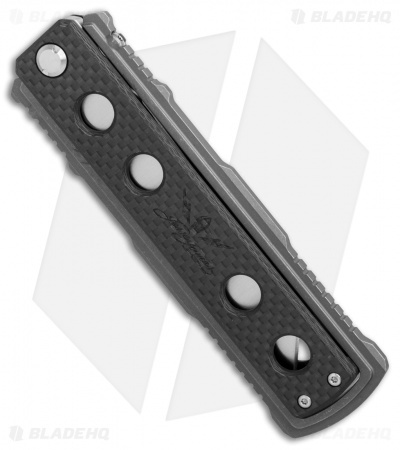 This Nomad model has a carbon fiber handle and a stonewashed titanium frame. 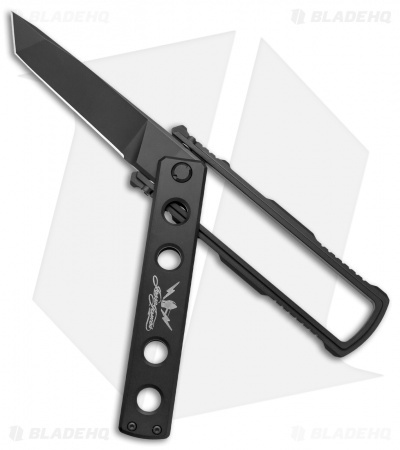 It comes outfitted with a satin finished tanto blade. The Nomad by Jesse James Knife Company is modeled after one of Jesse's favorite knives from his personal collection. This modern imagining of the "swing blade" knife is built with an AEB-L stainless steel blade and a durable machined titanium frame. The Nomad is a unique knife for collectors who have grown weary of the traditional folder, or just want to spice up the old EDC rotation. AEB-L steel offers a solid combination of toughness and edge retention. 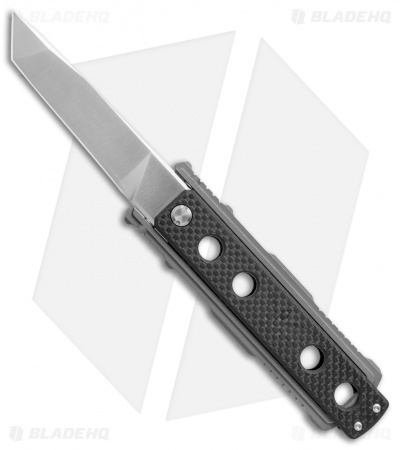 Titanium & carbon fiber construction provides a lightweight and durable build. Slim design allows easy carry and storage.